The legal status of cryptocurrency is particularly important not only for the so-called crypto space, but also for the future of development of blockchain technology. Recent EU legislative proposals classifing “virtual currencies” as financial instruments might significantly reduce blockchain activity in Europe. What is a cryptocurrency from a lawyer’s point of view? To a large extent, this issue has been left unresolved for many years. The major developments concerning regulation of cryptocurrencies in fact related to this problem – should a cryptocurrency be treated as tender (the question of VAT on cryptocurrency transactions)? Is it a property right (transfer tax)? How should cryptocurrency be defined for AML legislation purposes ? These are some of the questions arising in Poland. The situation is similar in other countries. The problem centres around the fact that it is hard to associate a decentralised, digital value, being a cryptocurrency (or, more broadly, a cryptoasset) with currently existing legal concepts. 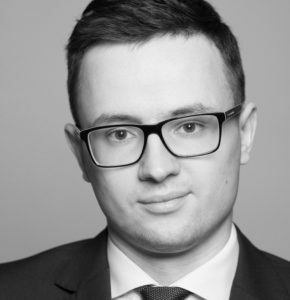 The first legal interpretation in Poland approached the issue in an interesting way, by stating what a cryptocurrency is not. One frequently reached conclusion is that a cryptocurrency is not a financial instrument. This is something lawyers both in Poland and in other EU countries agree on. The term “financial instrument” is defined in MiFID II and it is clear that bitcoin and similar cryptocurrencies are not securities (such as shares or bonds), derivative instruments, or other financial instruments defined in that directive. The situation has become quite complicated because over the last two years the market has been flooded with various kinds of cryptoassets, usually not in the form of a traditional cryptocurrency, but blockchain tokens, sold on the market in Initial Coin Offerings (ICO). The legal debate about tokens around the world focuses on the question of whether a token can be a security (in the EU this is a basic type of financial instrument). The answers received vary from country to country. In the US there is a broad interpretation of the term ‘”security”, based on the Howey test, resulting in many tokens being treated as securities. In the EU, on the other hand, in principle, the approach is much more moderate. The interpretation of the term “transferable security” in MiFID II is usually more formal. None of the Western countries has adopted the interpretation however that every cryptocurrency or token is treated as a security or another type of financial instrument. Firstly, this would be an exceptionally radical step, because securities trading, to give one example, is highly regulated. Secondly, a solution of this kind would be fundamentally flawed because a large number of cryptocurrencies and tokens do not have the features commonly associated with securities. This raises a number of questions regarding the adequacy of these laws. Even so, this was proposed in one EU legislative procedure. The proposal in question was made during work in the European Parliament on crowdfunding platform legislation. Before that time, in this context, it was suggested that the issue of ICOs should also be included in the planned legislation. This legislative proposal was accompanied by a second, related proposal to make a slight amendment to MiFID II. It was during the work of the Committee on Economic and Monetary Affairs (ECON) that MEP Markus Ferber submitted an amendment to that second proposal extending the list of financial instruments in MiFID II to include virtual currencies. The grounds given for this amendment were that investors treat virtual currencies as a substitute for financial instruments. In Markus Ferber’s view, this is a good reason to make a regulatory regime identical to the regime for financial instruments applicable to virtual currencies. Ferber also suggested defining “virtual currencies” in reference to the definition of this term used in AML/ATF regulations (AMLD5). One of the features of this definition is its broad scope, possibly making many cryptoassets financial instruments in practice. There is no doubt that consumers and investors currently run numerous risks related to trading on the cryptoasset market. This is true both on the ICO market and the secondary markets, where blatant manipulative activities such as wash trading are increasingly apparent. Regulatory measures are needed to address this. It needs to be borne in mind that speculation or fraud are only an element of permissionless blockchains. In some ways, they are merely a side effect. This technology is not intended to lead only to decentralisation of financial services, but in fact to lead to Web 3.0. Incidentally, many cryptocurrencies and tokens do not have anything in common with the types of financial instruments known to date. Current financial market regulation might simply prove inadequate to regulate this sector. This does not mean of course that it should not be regulated at all. If a broad group of cryptoassets are classified as financial instruments, this will have a radical effect on products and services in which cryptocurrencies and tokens are used. Creation of and trading in financial instruments is among other things strictly regulated. In practice, activities such as cryptocurrency mining, brokering cryptocurrency trades (on an exchange), taking part in cryptocurrency transactions, organising an ICO, and possibly a variety of consultancy activities, would become strictly regulated. This is not however the most important problem with the proposal. Above all, it would probably stop public blockchains developing in the EU (and would be likely to lead to an exodus to other jurisdictions), as development is linked to cryptoassets, at least at the current stage of technological advancement. The eventual fate of the suggested amendment is hard to predict. Apart from ECON adopting it (this is to be voted on soon) it would have to be accepted in an EU legislative procedure to be passed. It is therefore possible that this will be the aim of many firms. It should be considered thoroughly, however, because the detrimental effect on European innovation might be irreversible. Next post Next post: Could businesses be sued for data leaks?